This is incredible! So respectful of the original, while adding a tasteful Latin flare. I particularly love the bass and the percussion interpretations. If you enjoy this, you can find more videos by Tony Succar on Facebook and on YouTube. A stranger online recently did something really nice for me. Anyway, so, this fellow posts about downsizing his dad’s belongings, and wanting to pass on his 1940s-era Victoria High School yearbooks to an archive that would be grateful to get them. To his surprise, he heard nothing back after a few attempts at contacting the obvious candidates — the school, the BC Archives, a few others he could think of — so he asked for more suggestions for eager recipients from the YKYFVW members. 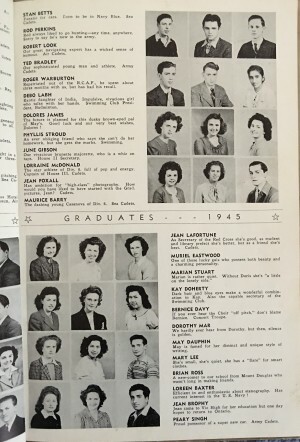 I wondered if there was any chance that one of them might be the 1945 yearbook, and if someone named Phyllis Stroud was in it. Turns out, one was, and yes, she was in it. So, I told the group my story, and my connection to Phyllis Stroud. 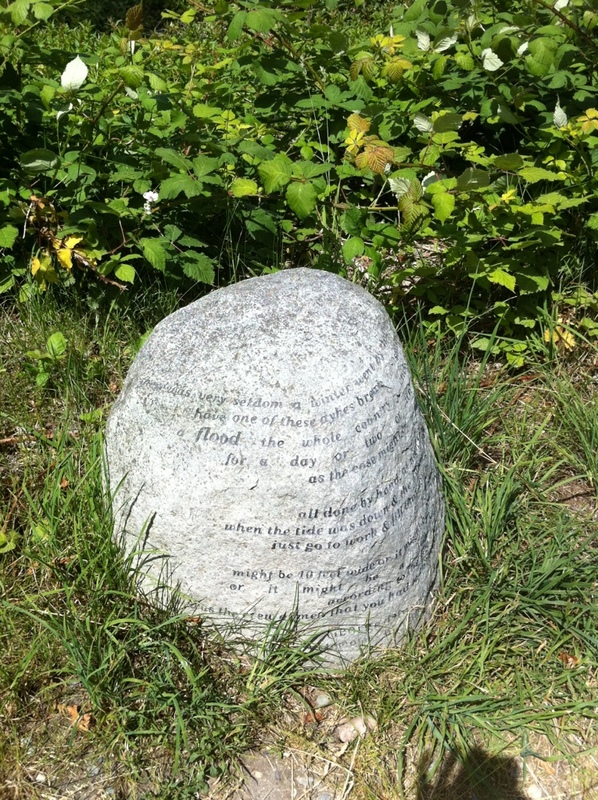 It’s a very sad, but interesting tale about her and how I found out about her, which I’ll save for another post because it’s long enough on its own. In short, however, she was my great aunt in my birth family, sister to my grandmother, and she died tragically, shortly after graduation. And the original poster, a fellow named David, very kindly offered to send me the yearbook. He wanted it to go to a good home, and I got lucky! True to his word, he packaged it up and mailed it, and it arrived a couple of days ago. And there she is, my Great Aunt Phyllis, a member of my birth family, in print, in her graduating yearbook, just a few short weeks before her death. I can’t begin to say how special this treasure is to me, or how grateful I am to this complete stranger named David for his kindness in giving it to me, filling in a missing piece in the jigsaw puzzle of my family history and helping me feel more connected to the family I didn’t know anything about until after I’d already started one of my own. It would have been so simple for him to blue-bin it, and I’m so glad he didn’t. 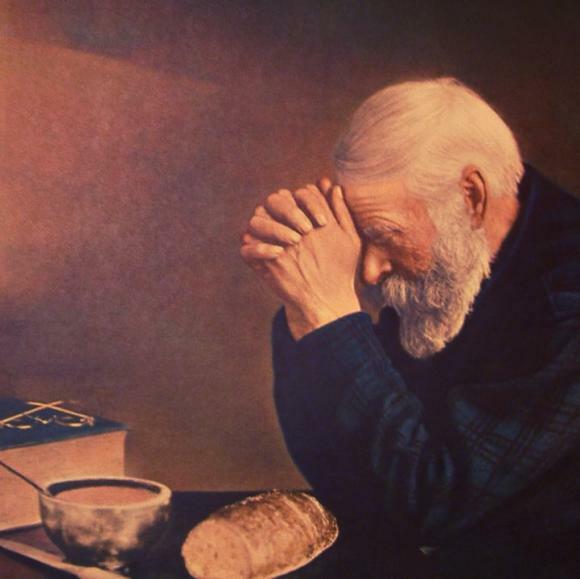 The longer I live, no matter how much the daily bad news in the media — or awful experiences in my life or the lives of people I love — grinds away at my faith in humanity, the more convinced I am that there is still good all around us, and kind people really are everywhere. Thank you, David from YKYFVW, for keeping my faith — and hope for the future — alive. A friend, who also uses her computer every once in a while — uh, make that leaves her computer once in a while, sent me this. I hope you enjoy it, too! 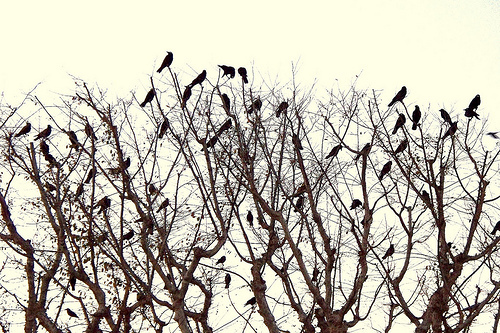 Some years ago, I witnessed a “crow funeral” on the street in front of my house. What seemed like hundreds of crows suddenly appeared in the air, in the trees, on the lawns, on the roofs, everywhere around my neighbourhood. A young crow had just died on the roadway, and the noise its friends and relatives made was awe-inspiring. Fifteen minutes later the “service” was over and they all flew off in different directions, but I doubt I’ll ever forget impression they made on me. When I related this story a little while ago, Tom, one of our lunch party, told me that a group of crows is called a “murder” because, when they work together, they can take down large beasts, one peck at a time. Somehow, after experiencing what it felt like to have a murder of angry, grieving crows surround my house, I can believe it! I shake my head in wonder at Horizon Realty’s ridiculous $50k lawsuit naming a twitterer who complained to her ~20 friends online about her moldy apartment (see: “Horizon Realty Sues Woman for $50,000,” at PodcastingNews.com). And I laugh at Sons of Maxwell’s hilarious music video jibe at United Airlines for wrecking a band member’s guitar, and marvel at United’s refusal to “make things right” until SoM’s video hit millions of views within a week of being posted to YouTube (see: http://www.youtube.com/watch?v=5YGc4zOqozo). These stories, and others, get me thinking about parallels between a murder of crows and (dare I say it?) a “murder” of twitterers, bloggers and YouTube-ers. Individually, customers and observers might be small but, once agitated by a perceived injustice, together we are mighty. Corporate (institutional, governmental, etc) behavior, good and bad, has never been so exposed, and individuals have never been so powerful. And, like the crows, we’re a mostly a pretty smart lot. We’re noisy, too, when we want to be. I’m curious to see how social media re-shapes communications between ordinary people and big, historically strong organizations in the weeks, months and years to come! I have a friend, named Tim, who lives all the way across the country. Tim is a wonderful, affable, total geekhead, and I mean that in the very best of ways. He’s smart, he’s fascinated by minutiae, and he loves sharing his discoveries of the hidden treasures in the mundane world as he finds them, using his own special mental lens. He has been a technical writer for… a while. He’s worked for some of the biggest names in the technical world. Happily, he decided to study communications at Royal Roads University at the same time as I did, which is how and where we met. Most of our academics were conducted long distance, done through an extensive university system built on a free platform called “Moodle.” We learned how to type ever faster in order to meet those firm, Sunday-at-midnight deadlines; we tried out collaborative and communication tools such as wikis, instant messaging, and Skype; we discovered online rabbit holes called “EbscoHost” and “ProQuest.” For two years, we worked together with classmates spread out all across the continent, putting together major class presentations without the benefit of proximity. Sometimes the best way to see how someone uses something is to watch them using it. Happily, with today’s technology, we don’t even have to be in the same time zone!